I have played the ‘Lady Harmsworth’ for more than 12 years. I got it after two years without an instrument of my own. Those years were a little bit tough. You try an instrument for a month, you play with it, and if you don’t end up finding a sponsor you have to move on and try another one. 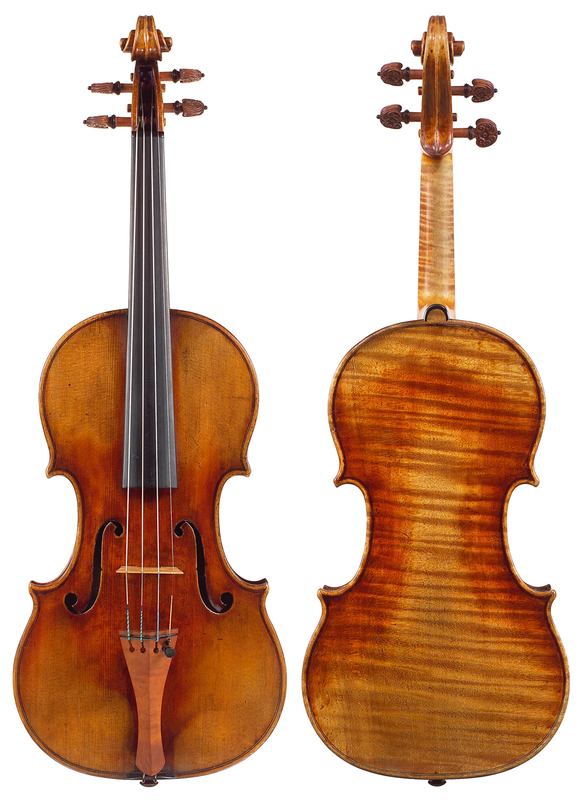 This instrument is now part of the Stradivari Society, and to have it for so long is a privilege. You have to make friends with your violin. And as in a human relationship, nothing is static. It changes all the time – according to weather conditions, how you’re playing, it starts to resonate differently. And a Strad is never an easy instrument. They don’t give cheap thrills, it’s like handling a sports car. You have to control everything to make the most of the power at your disposal. A ‘del Gesù’ tends to be very forgiving, usually with a very big and beautiful sound, but they are a little less mysterious, they are easier to fall in love with. Strads have qualities which are not immediately obvious. The tone colors can be mysterious at first, but it’s worth the effort of controlling and mastering them. The ‘Lady Harmsworth’ has a very even tone across all registers. I have experienced this very seldom with other instruments. They can have a fantastic G string, and be perfect for the Sibelius Violin Concerto. Others are softer and more beautiful in higher registers, which makes them better for Mozart. What I really enjoy with this instrument is that there are no weak spots, and I suppose the golden-period Strad model is based on seeking and finding this perfect balance. Tonally speaking, this violin has a darker than usual color which doesn’t affect the power of projection. You can have a very powerful, direct sound or a beautiful tone, but they aren’t often found together. Perhaps makers have to decide at one point whether they want a chamber-music violin or a powerful instrument which will eventually sacrifice some nuances of tonal quality. But in this case there is such a perfect balance between these factors. I know some more powerful instruments, but I can still play the Brahms Concerto with the ‘Lady Harmsworth’. And I’ve recorded many albums for Brilliant Classics with it, from the Bach and Ysaÿe unaccompanied music to Beethoven sonatas to the Korngold Concerto. When I started to work with my mentor in Paris, Edward Fuchsel, he really focused on finding my own sound, which is an undervalued quality nowadays. I focused on this for several years, and in 2015 the opportunity arose with Hungaroton to record whatever I like. I’m not a singer, so in order to show my own sound I need to show the sound of my instrument, and I wanted to make a record which would really display the ‘Lady Harmsworth’. It isn’t an encore CD, even if that’s what it looks like. Rather, it’s a disc of miniatures which were so popular among violinists and cellists in the early years of the last century – most probably because they were easier to record than full pieces within the format of a 78 record. They have a special charm and ability to express your own sound quality. So when I picked the pieces I didn’t focus on which ones I like best but on which ones show the qualities of the ‘Lady Harmsworth’. We tried to make a balance between espressivo, cantilena character-pieces and virtuoso showpieces such as the Ernst Last Rose of Summer variations. The three movements of the Souvenir d’un lieu cher by Tchaikovsky – now they show off the full range of the instrument’s sound. So do the Wieniawski Légende and the Paganini Cantabile, which is one of my favourite pieces for sound production. I hope what comes across is a sense of warmth, and mystery – the qualities you look for when you want to make friends with someone, or even to love them. So I think it reflects the personality of the violin, maybe of me too. But we couldn’t call it The Personality of Lady Harmsworth! So we chose The Soul of Lady Harmsworth, which reflects her legacy to the world. Playing such a great instrument is always an inspiration. One of their qualities is that they not only serve you but provoke and inspire you to find new ideas in your playing. It’s not all about the prestige or their objective qualities, but that while you’re playing them you find new ideas, new intonations. The instrument has its own harmonic pattern. A C sharp is different on different instruments. You can’t just fix your intonation and then speak with it. The history of the ‘Lady Harmsworth’ is mysterious. All we know is that the instrument was owned by the Harmsworth family, in England. The lady after whom it’s named only died in the early years of this century. I don’t think anyone played it professionally before me. 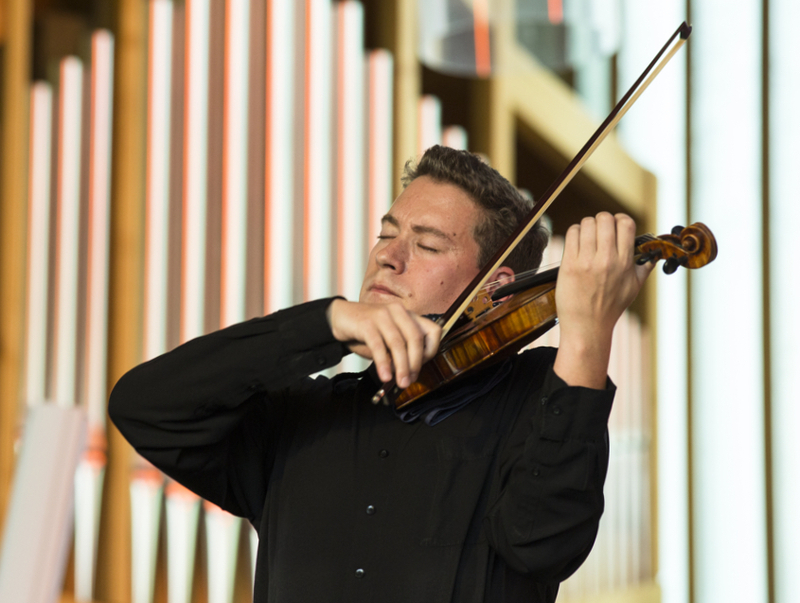 When you play a Strad or a ‘del Gesù’ that was previously played by a great soloist, such as Kreisler or Wieniawski, it’s always a special feeling. On the other hand a fine instrument which is not so well-known has a charm, a hidden one, and there is a privilege in opening up the instrument to the world. I like that.